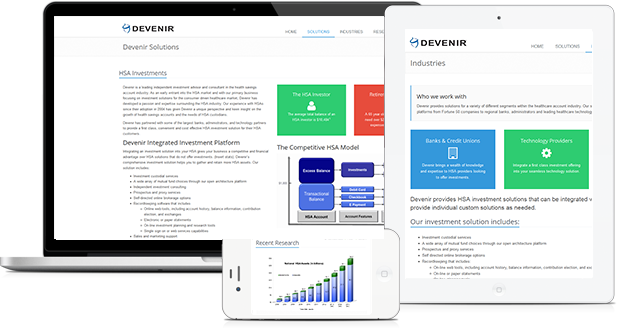 Devenir is your healthcare account investment expert. Devenir has been offering investment solutions for health-based accounts since 2004 — when these tax-advantaged accounts were first introduced. Because we understand the unique needs of custodians, administrators and their individual account holders, we are driven to deliver real-world solutions and resources to make investing health care dollars easy and effective. Proven experience and expertise has made Devenir the national leader in powering robust investment solutions for health care accounts.